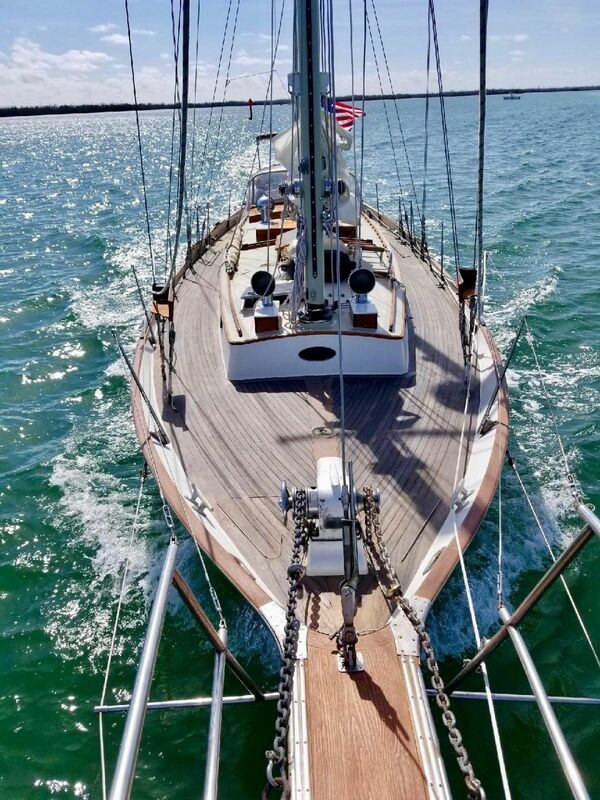 The Cherubini 48 Staysail Schooner is stunning. 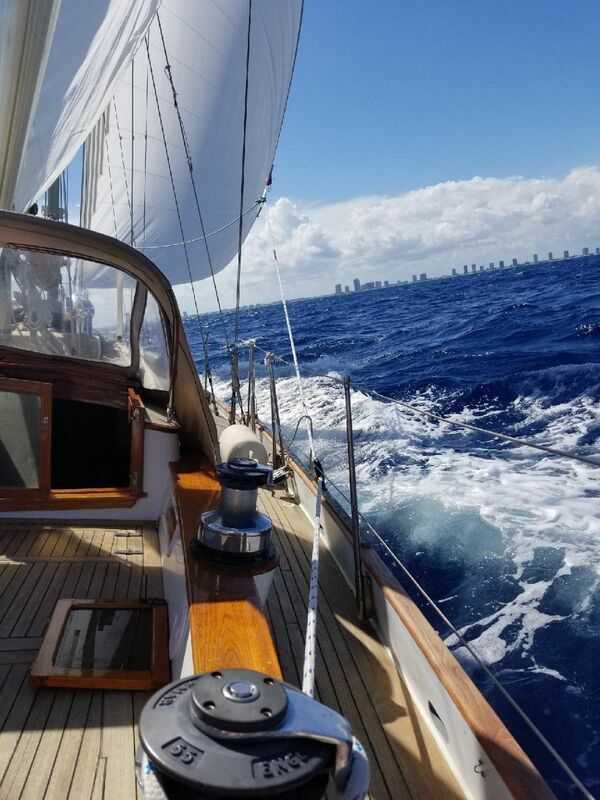 Long and low, with a clipper bow, bowsprit, and schooner rig, she integrates classic themes in American sailing, the clipper ships, the Grand Banks fishing schooners, and racing schooners of the 1930s. 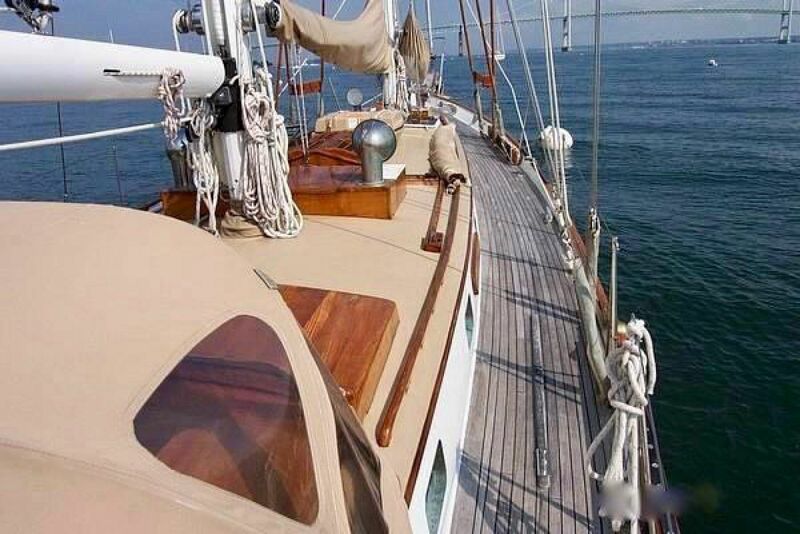 Below decks, she embodies the classic elegance of the finest yachts. While traditional in appearance, she is fast and fully contemporary in her construction and outfitting. She is a modern classic. The Cherubini 48 was designed by John Cherubini and is similar to her smaller sister, the Cherubini 44. 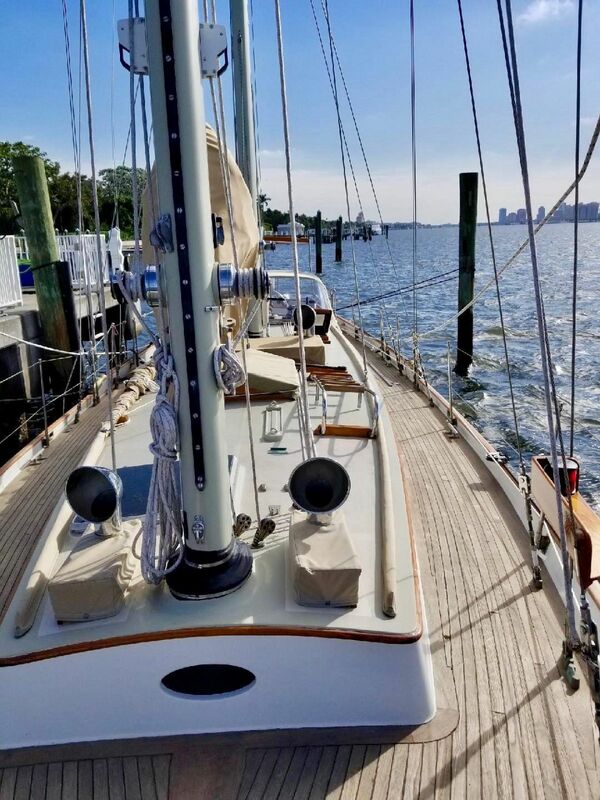 She has a long waterline, narrow hull, large divided rig, and shallow Scheel keel which opens up vast areas of Chesapeake Bay and the Bahamas. 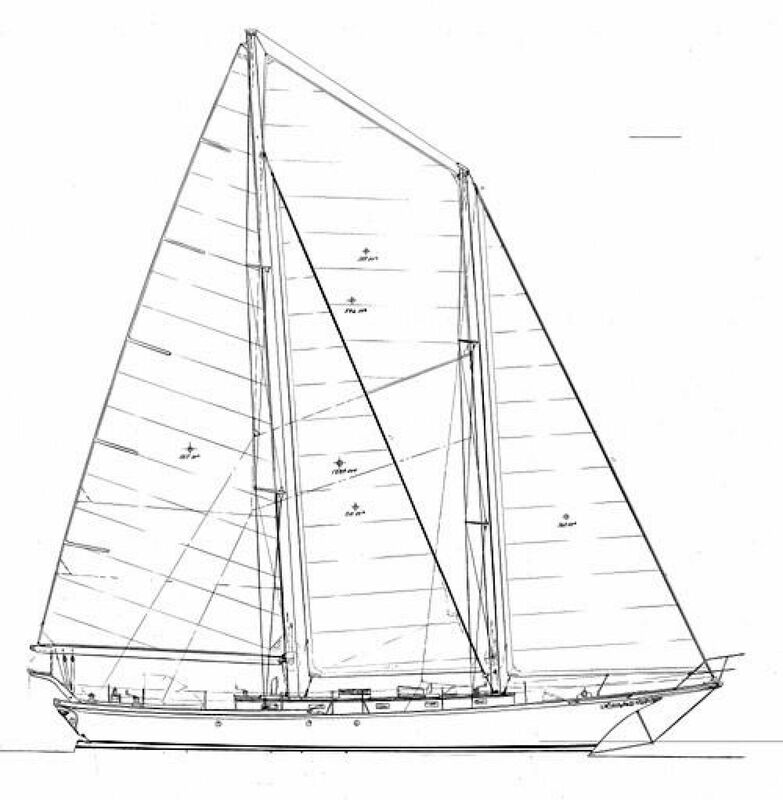 She combines a Marconi-rigged main with fore and main staysails to establish a plan that can be easily handled by two people. 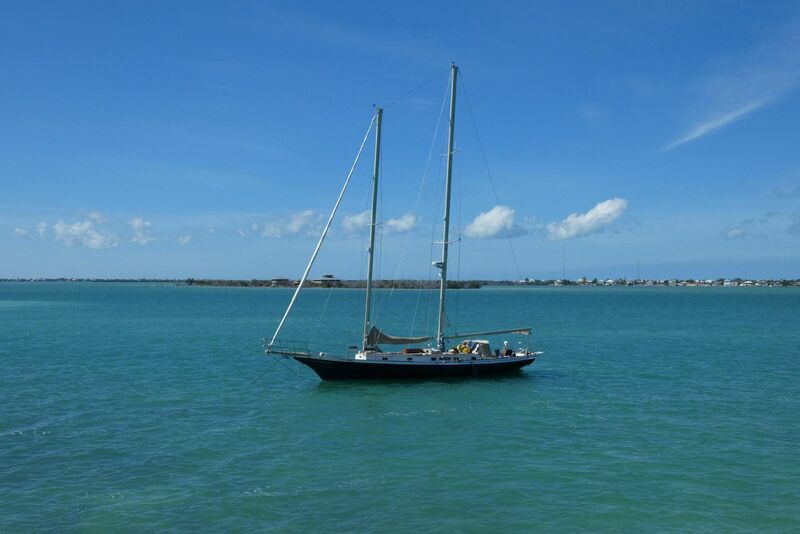 The staysails are set up to be self-tending, and the large main is furled. The divided sail plan allows the ultimate in versatility from an enormous sail area in light wind to a very short rig when conditions demand. 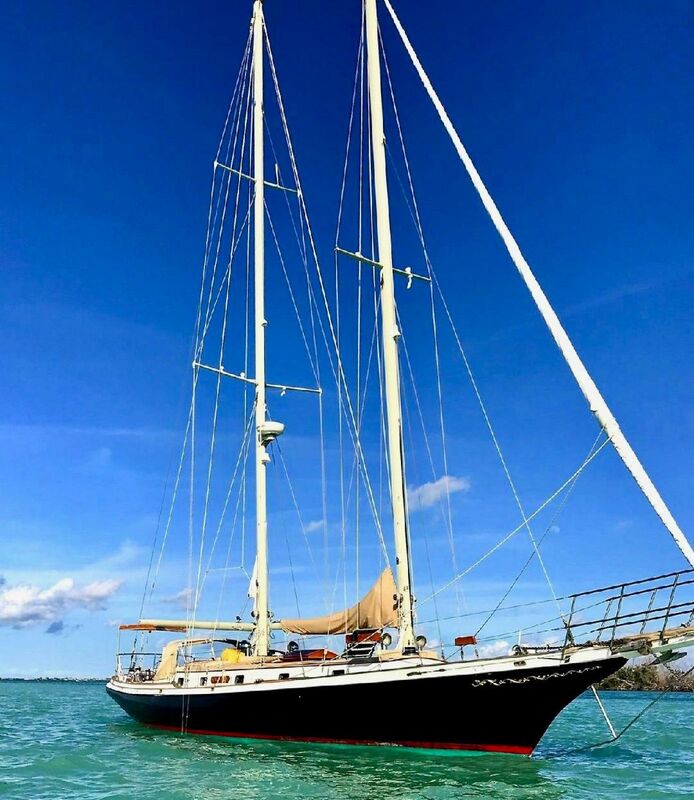 Offshore sailors will appreciate the Schooner’s ability to heave-to in comfort under a deep-reefed foresail. 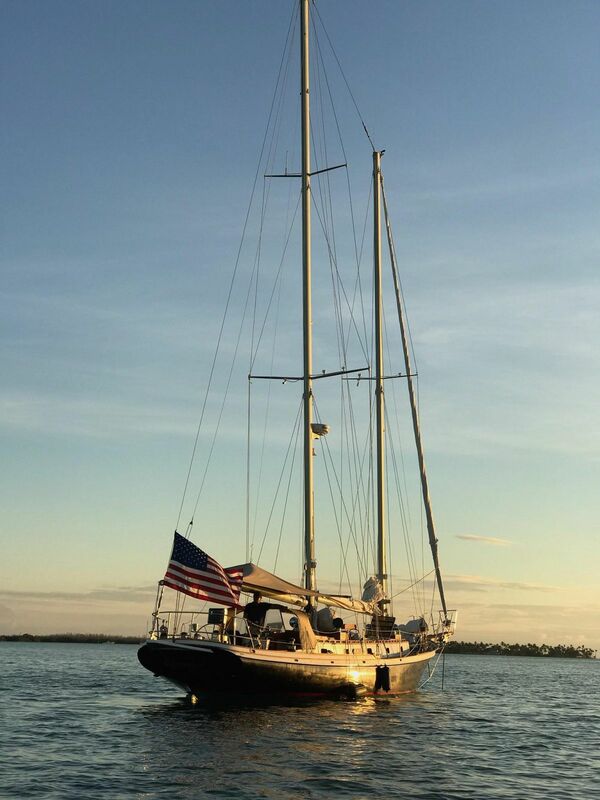 The Cherubini 48 is a “go anywhere” boat, designed and constructed for the rigors of the long passage, yet capable of exploring the hidden backwaters of the world with its Scheel Keel drawing only 5 feet, 10 inches. The Cherubini 48 preserves the classical appearance of yesteryear while offering the strength of fiberglass construction. 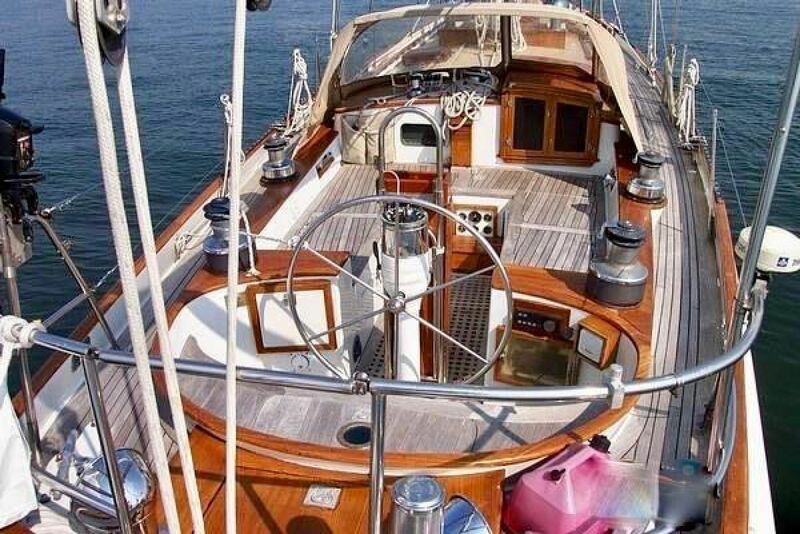 Hand-finished teak, highlighted by custom stainless steel and bronze fittings and ports, incorporated with the latest construction methods and materials, will tell you that this is a yacht crafted with care and an understanding of the sea. 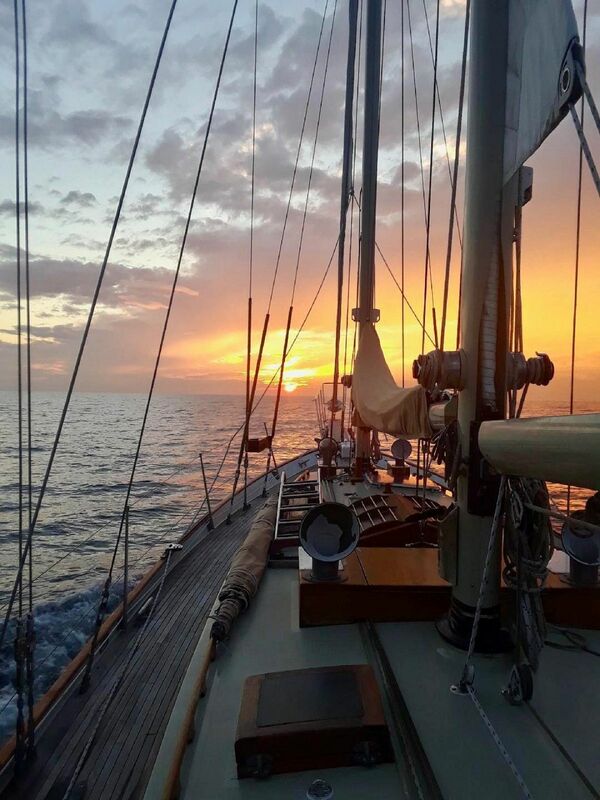 Very few sailing yachts attract the worldwide attention of yachtsman like the famous classic schooners of the Cherubini family. 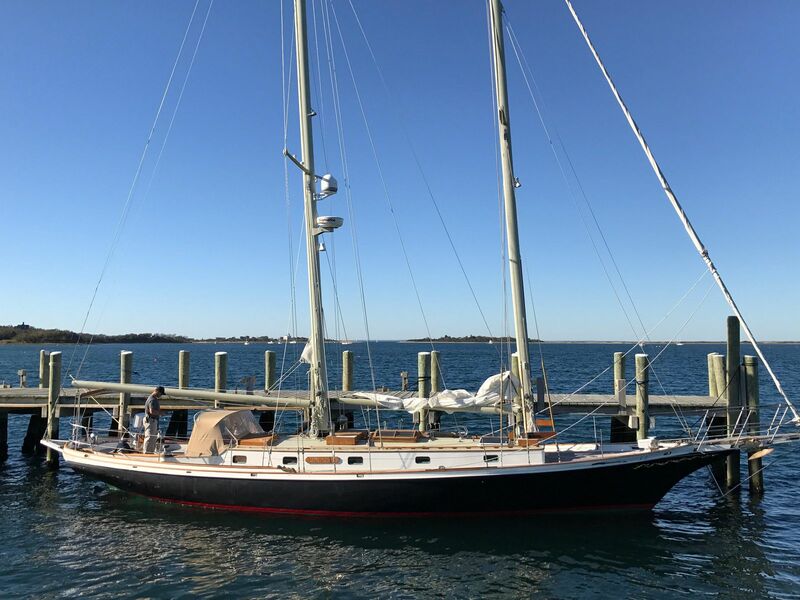 John Cherubini created the proud descendant of the famous ?Ticonderoga?, designed by L. Francis Herreshoff, and in doing so, continued the dream of every romantic yachtsman. Nothing is more elegant than a black hulled schooner with slightly swept back spars, elegant clipper bow, and low profile cabin tops - the perfect description of VICTORIA. Below deck the exquisite varnished mahogany is highlighted by the finely crafted raised panel details done in classic Herreshoff satin white. Add to this, teak and holly sole, varnished mahogany overhead beams, cane locker doors, and the finest hardware available, the result must be seen to be appreciated! The bronze port lights are designed and built by John Cherubini and are unique to the boatbuilding industry. They can be left open in the rain for air circulation and drain directly overboard in all weather conditions?simple and elegant! 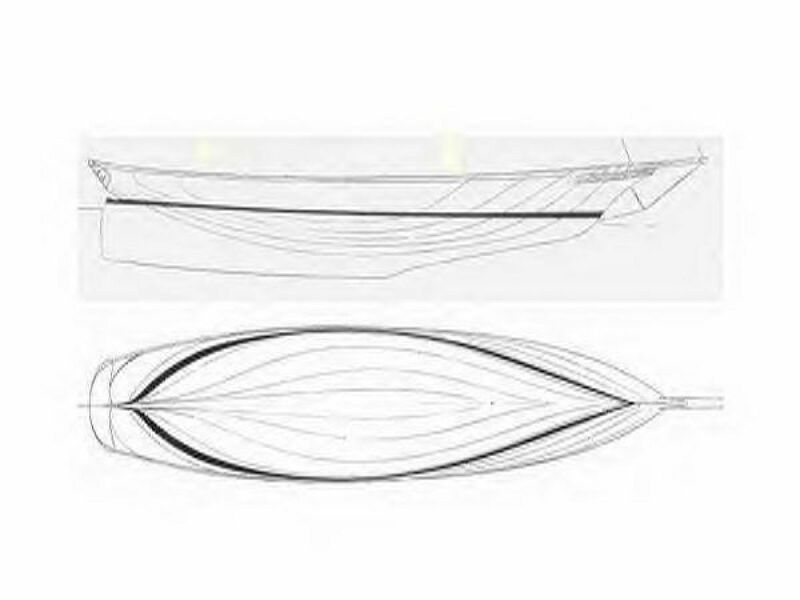 The hull and cockpit are constructed of hand rolled and squeegeed resin with both unidirectional and biaxial fibers. The keel ballast is internal and completely resin covered and bonded into the hull laminate. Starting forward is the Guest Cabin with a V-berth, numerous drawers and storage lockers, plus en-suite head with shower and sink. 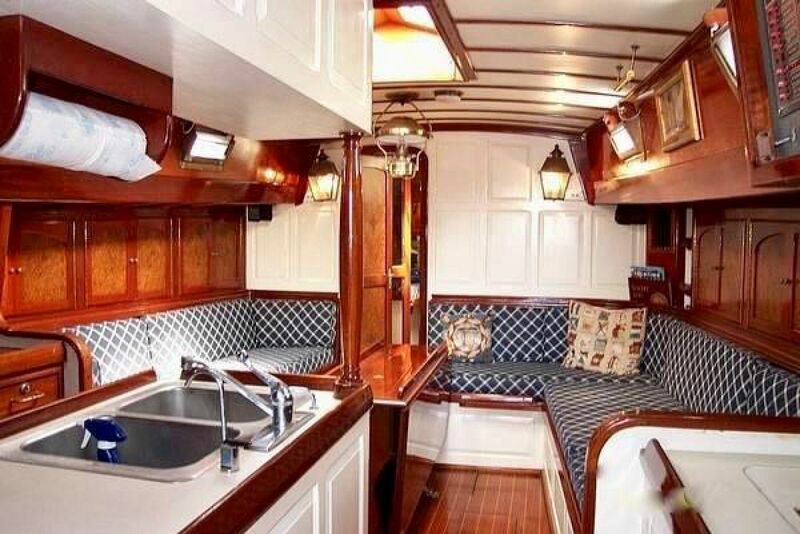 Next aft is the main salon with full size port and starboard settees with drop leaf dining table. Overhead is an elegant, butterfly opening mahogany skylight, allowing fantastic ventilation and natural light throughout the salon and galley area. 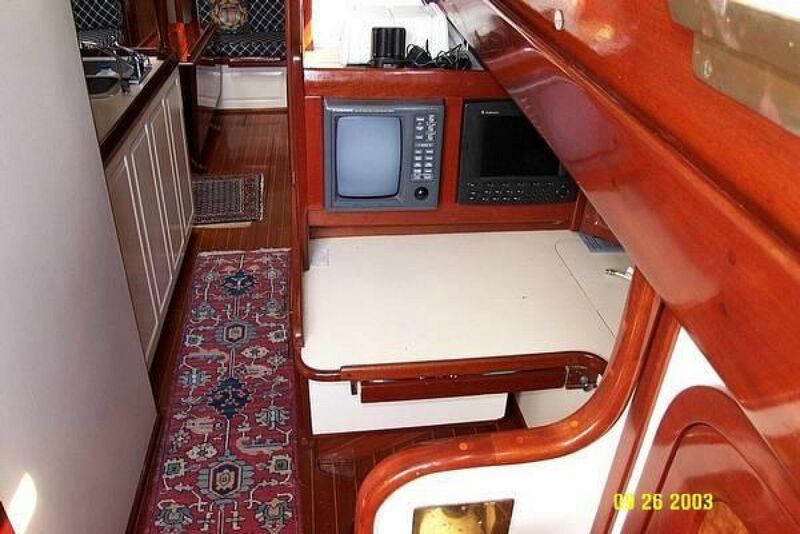 There are numerous outboard bookshelves and storage lockers as well as properly placed reading and overhead lights. 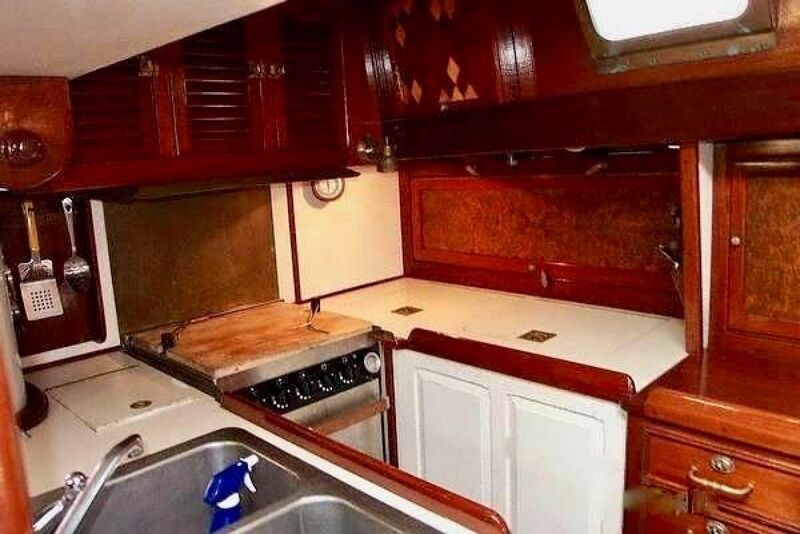 The large U-shaped galley is aft to port and open to the salon and dining area. The master stateroom is aft with its own private entrance from the cockpit. 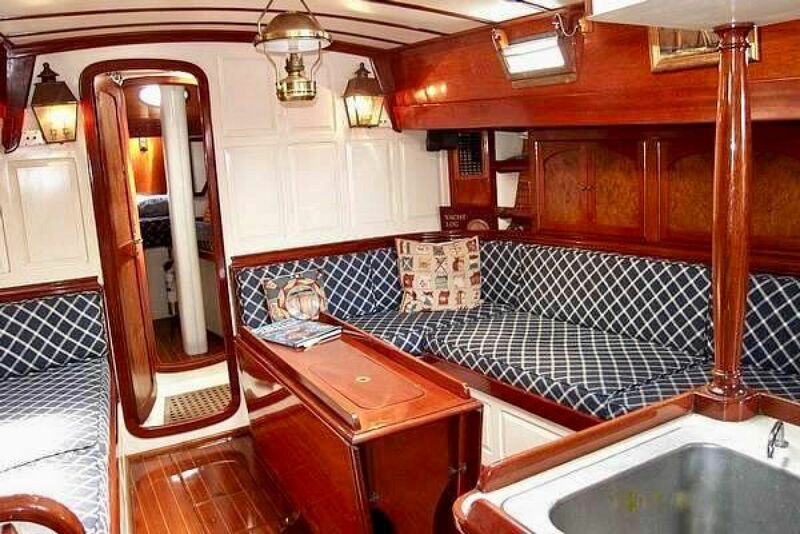 There is an offset double berth to port and settee aft to starboard with library-style bookshelves, drawers, and cane front storage lockers. Forward to port is the en suite head with sink and shower, and the navigation station against the forward bulkhead, over the main engine. Rebuilt name boards and running light boards stripped and varnished and painted Victoria name ..Cleaned connections and light bulbs. On main hatch cover cut and epoxied new wood to fill the voids, on skylight plugged screw holes..Removed hardware where it existed and reattached it wherever varnishing was done. Rebuilt boomkin filling and plugging all holes from the old traveller and wherever soft wood was present..Coated the wood with 3 coats of West System epoxy, primed with Awlgrip 545 and painted with 1 part paint . Installed new stainless steel eye for mainsheet with new backing plate. Repaired teak grating on boomkin with wood dowels and epoxy. Removed rotten wood from starboard side anchor locker, repaired with new wood and epoxy. 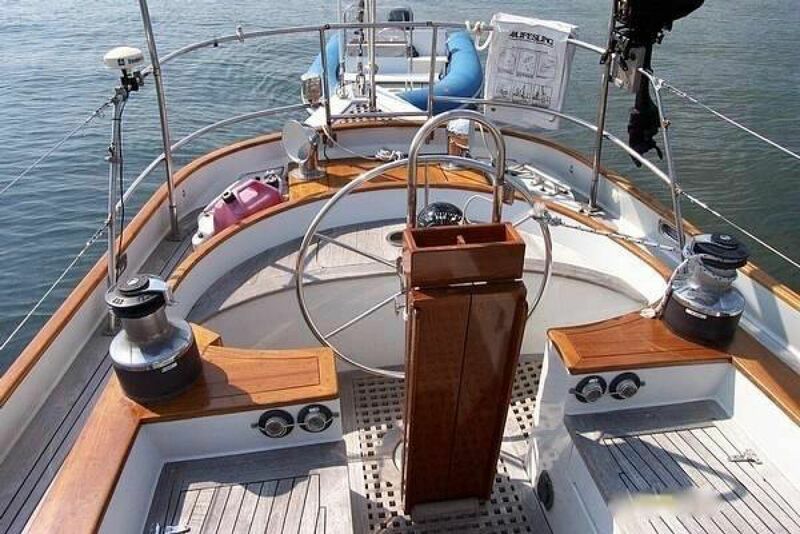 Cleaned teak seams and filled with Teak Decking System caulk. Repaired scratches on hull with West System epoxy, primed with Awlgrip 545 and painted larges sections of both port and stbd sides with 3 coats of Awlgrip paint.. The remaining parts of the hull not painted were compounded and waxed..
Refaired port and stbd areas where thru hull fittings were replaced..Replaced 2 thru hulls that were leaking. Removed non functioning blocks of wood on deck.. Filled the voids with epoxy, faired the deck and primed and painted with non skid material.. Painted the waterways. Removed and replaced 7 4D batteries with AGM Glassmat along while installing new terminal connectors and adapting battery cables to connectors on battery. Filled voids in deck with West System where there was water intrusion , cut new grooves for caulking and recaulked with Teak Decking System.